Paul Ryan is plotting his biggest betrayal yet. The establishment expects that if Hilary Clinton wins the White House, amnesty will be the number one issue on the agenda. And for years, Paul Ryan has parroted the open-borders, pro-amnesty, globalist line. Now, with just days left before the election, elites in both parties are laying the groundwork for a major push to ram amnesty through Congress in early 2017. With polls showing Hillary Clinton holding a mid-single digit lead over Donald Trump establishment-aligned pundits and politicians are dreaming up ways to resurrect immigration reform. Amnesty failed in 2014 after House Republicans refused to bring the Gang of Eight bill up for a vote after it passed the Senate. Republicans then campaigned all fall against Obama’s amnesty bill and won one of the greatest landslide victories in the history of midterm elections. But the donor class never stopped thirsting for an amnesty bill to flood America with cheap labor to drive down wages. So now Paul Ryan and leading Democrats may be hatching a plot to pass an amnesty bill in early 2017. Pundits – and many establishment Republicans – will blame Trump’s loss on his strong stands on ending illegal immigration and building a wall along our Southern border that is paid for by Mexico. They will claim – as they did after Mitt Romeny’s loss in 2012 – that amnesty is a silver bullet to winning more Latino votes. But the numbers showed that Mitt Romney would have needed to win 71% of the Hispanic vote to win the election. Immigration did not cost the GOP the election in 2012. But reports are already surfacing floating potential pathways to passing an amnesty bill. 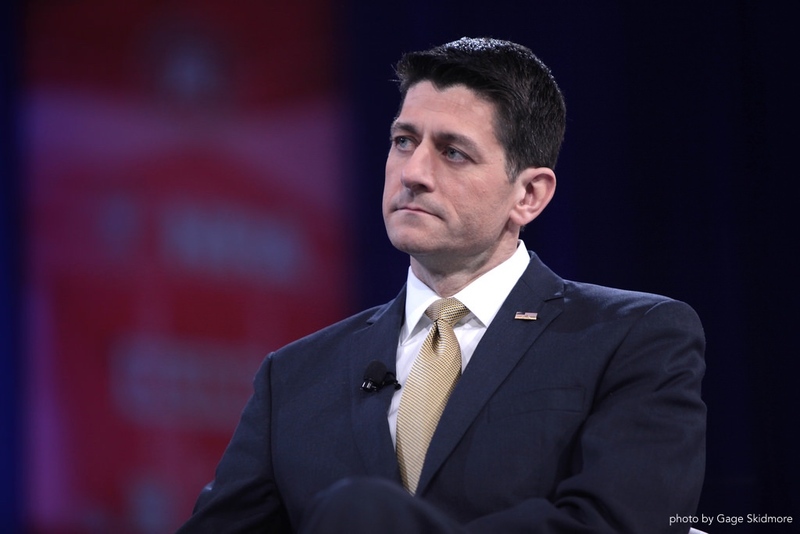 “Clinton also would seek to work immediately on an overhaul of immigration law, an issue that Ryan has advocated but that has become anathema in parts of the Republican conference. It is possible that a Trump loss in November could shift political winds in the GOP, creating momentum for Ryan to consider starting discussions. Many critics believe Ryan is working to undermine Trump’s campaign because it would be easier for him to work on the globalist agenda of mass amnesty and open borders with Hillary than with Trump. Paul ryan is a traitor to his party and to the American people. We the people have spoken. Trump IS OUR PRESIDENT and must be treated as such. Those who oppose MUST GO. Is this more fake news? This article was in 2017. None of it came true. Don’t be too quick to believe what the media puts out. I read the opposition to Trump is shrinking. Very glad to hear that Ryan is doing the RIGHT thing for a change. I think Paul Ryan’s advice is credible . Focus your campaigning on what has been accomplished not on your overemphasized mistakes and personal life . I agree .The public already knows about them . And a public reiterating won’t get many votes . I agree with you Mary, Paul Ryan always reminded me of a rat a big rat couldn’t stand that fake smile. Karma will hit you when you least expect it. It is coming your way Paul. Traitorous Rhino Ryan must be Ejected! No illegals of ANY kind including DACA! Let’s voluntarily contribute $1 to $100 each BorderWall Build Fund and take burden off Trump! I’ll gladly pay and sidestep the crooks in Congress. Just need a Patriot with knowledge to set up the Foundation. Trump is doing Fantastic job…ignore Rupert Murdoch’s Fake Fox Polls! The biggest snake in the grass is ryan, needs to be REMOVED from his position, PERIOD! Paul Ryan needs to be voted out of office He is a RINO, and does not stand for us. Cannot vote out..he quitting for cushy connections. Shun him. Do not give him power. Kick these Soros backed bastards out of office!! !There nothing but demo rats!!! I have believed for many years that Ryan Mc Connell Mcain and many other Republicans and all of the Democratic leadership have been on George Soros payrool for the past ten years. ATTEMPTS TO ACCOMPLISH FOR AMERICA!!! WE MUST APPLY EXTREME PRESSURE AGAINST RYAN!!! And mouse in the cookie jar is still a mouse ! A pig in a pig pigpen whitewashed is still a pig. A liar and a white washed sepulcher is still a liar. Repeal Obama !! Thank you for standing strong in the face of opposition!! support from Geo. Soros. That ought to tell you where he stands! Ryan is no Boehner . You are overreacting . Paul Ryan was foisted upon us as a conservative, but he has shown his true colors over the past two years. Paul Ryan cannot be trusted!!!!! GO TRUMP!!!!! I think Paul Ryan is a Democrat!!!!! Paul Ryan is a closet Democrate as is e45% of Congress and 70% of the Senate. Time for we the People to step up and STRONGLY get behind PRESIDENT TRUMP And BODILY TAKE THE TRAITORS DOWN IN A BIG WAY.No more Talk. WE THE PEOPLE HAVE TO BECOME VISIBLE NOW. PLAYING GAMES AS TO WHO’S ON FIRST IS GETTING VERY STUPID. You are absolutely right! They have to do something now, sue them because their are more than one, Ryan,McConnell,McCain,andGraham! YES!!!!!!!! WHILE YOU STILL CAN………….. I THINK THE WHOLE REPUBLICAN ESTABLISHMENT STINKS. THEY WON’T BACK TRUMP THE PEOPLES CHOICE FOR PRESIDENT SO MAYBE THEY SHOULD BE VOTED OUT OF OFFICE THEMSELVES. THEY ARE ONLY INTERESTED IN LINING THEIR POCKETS. SOME OF THEM TAKE MONEY FROM GEORGE SOROS THE NAZI WAR CRIMINAL JUST LIKE THE DEMOCRATS. VOTE THEM OUT IF THEY WON’T SUPPORT TRUMP. Paul Ryan is a real dirt bag and he needs to go!!!! A staff full of “yes” men will not help the president manage the government effectively . A bit of constructive criticism a help sometimes . I don’t think it’s smart to completely ditch Ryan just yet .